Product Description: 2.2 and 2.5 liter fuel injection and turbocharged engines (84 - 89)Haynes offers the best coverage for cars, trucks, vans and SUVs in the market today. Each manual is written and photographed from "hands-on" experience gained by a complete teardown and rebuild of the vehicle. 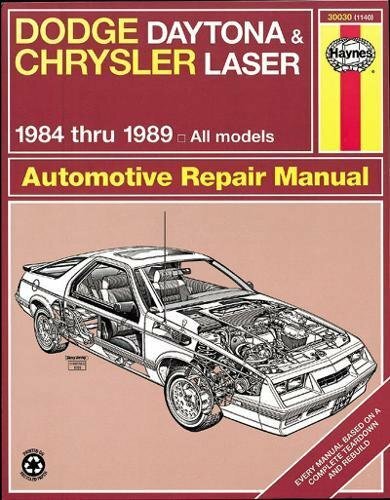 The first Haynes manual was written this way 40 years ago, and all the manuals continue to be produced this way, making Haynes the world leader in automotive repair information.